Like life, the one thing I have found that never changes with homeschooling is that it will change! I can hardly believe this next year I will have a fifth grader! 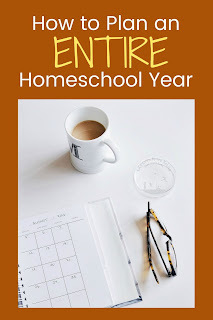 All the things I learned my first year homeschooling are not all applicable to the stage we are at now, but some definitely are. Especially the need for flexibility! 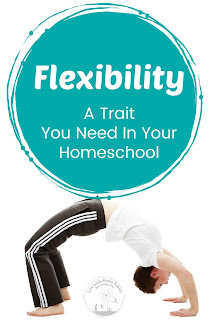 As a matter of fact, without that flexibility (that I still struggle with), nothing would have changed in our homeschool, and I would have a huge mess on my hands! In the past we have used a sabbath schooling method where we did school 6 weeks and took the seventh off. Honestly, I loved this. I loved knowing I had a week to get caught up after 6 busy weeks. Plus it fits the motto, I can do anything for 6 weeks, that got me through several blocks of vet school (I'm looking at you gross pathology). But it did not work for my kids. Oh they loved having the time off, but it usually ended up being more like two weeks because once they were given that freedom, their strong willed little selves wouldn't give it up. As a result we sadly have had to move away from our sabbath schooling. Instead, of planning to have 6 weeks schooling and 1 week off, I plan for 4 days every week as well as several days off during the year. That fifth day as well as the scattered vacation days allow for the flexibility we need! A large part of the year, we use that fifth day a week for co-op activities, but all those other days, they can be used for field trips, make up work, or just as a vacation. 1 day is a whole lot easier to recover from then an entire week! And since my kids are strong willed in everything, including their routine (or desire not to have one), we are also continuing to do small amounts of school work in the summer. This way they still need to get up and ready each day. Summer school is more unit studies, skills I think they need to work on (hello, math facts), and hands-on activities. No real curriculum required. I have also had to change the way I plan. I have found that I cannot plan as I go. Trying to plan once a week, once a month, once a block, and even once a semester have all failed me. I can't reliably say I will plan on any given day because it seems something always comes up. There was even that year where I forgot to plan spelling, so we just didn't do it for half the year. I need things written down and organized especially as I keep adding subjects, extracurricular activities, and kids. 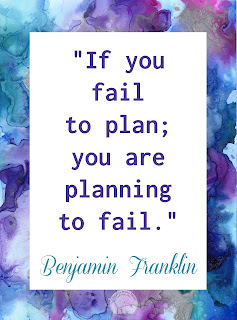 Without a written plan I will not follow through mainly because I can't remember it all. So in an effort to be flexible with myself, I plan it all, the whole year. A while year seems like a lot, I mean a lot a lot, like overwhelming, panic inducing a lot, but if you take it one step and one subject at a time it can get done. And you can include room for flexibility and even the hands-on learning activities that get avoided because there aren't enough hours. Step 1: Get a planner! So step 1 really should be purchase curriculum, but let's assume if you are ready to plan you are past that point. I actually print the pages I need from Tina's Dynamic Homeschooling, she has loads of free pages. I don't need them all, but depending on your state requirements you may. Check your state requirements at HSLDA if you don't know them! Step 2: Mark off days you need off. I sit down with my calendar and mark off days my husband will have off. These will be vacation days for us. I also mark off holidays, days we have known field trips, and co-op days plus a few extra vacation days at times I know we have needed them in the past, like February. I mark all these days off on a one-page calendar for easy planning. Step 3: Choose a start and end day. When I say end, I mean the end of full school days, not lighter, summer days. When the kids were young I didn't have a problem letting school last however long it needed into the summer. 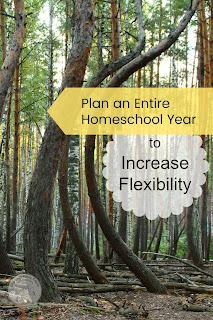 Now that I have 3 in school and a precocious preschooler, I need that summer time to plan. Plus, summer always gets crowded with camps, library activities, play dates, etc. even though I convince myself every year that I will have oodles of time in the summer. Yeah, you can laugh at me for that; no one has time in the summer. Step 4: Count the days. Once you have a beginning and end date you can count up the number of days you have to do school work. Here is where I try to plan for 4 days a week. That way we have room for co-op and field trips and some extra make-up days. Step 5: Time to look at curriculum. If your curriculum is already broken into lessons like our math then I simply add those to the planner. If I haven't allowed enough days I may have to add some in, but this isn't typically a problem as I try to allow 170-180 days. For curriculum without a definite lesson plan, I decide how many days a week I want to cover that subject. Then I multiply that by the number of weeks in our school year (don't include summer) to get the total number of days for that subject. Now you can get a rough estimate of the number of pages you should cover per session by dividing the the total pages by the number of days. This is just an estimate. You actually have to go through the curriculum and find the natural break points and see what additional projects you might want to add. I always start with subjects we do daily like math and language arts. Then I go through the rest of the core subjects (usually twice a week), science and history. Finally, I add in subjects like critical thinking, art and music (once a week subjects). Now while I am looking through curriculum to plan lessons, I also try to note experiments or other projects and supplies we will need. I'm not always successful at this and find myself having to go back through to find it all. This year, I am going to try to write supplies or extra books I want to use in my lesson planner and not just in a random notebook to see if that helps me stay organized. 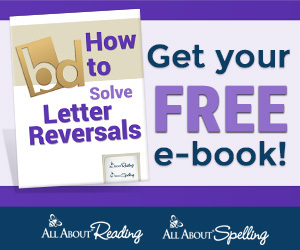 It's those little, obvious steps that really increase your efficiency! Just repeat these steps for each child and each subject and you have a whole year laid out! 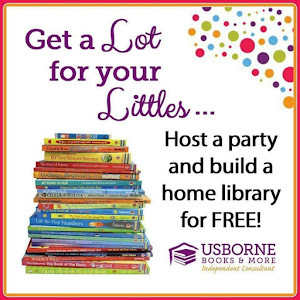 Any worksheet, test, coloring page, whatever that you need. Print it now before school. File it by subject in hanging files. You can do by week or whatever if you want, but I just stack them in order and put all of 1 subject in a folder (or two if there is a lot). This prevents a ton of stress. I can't tell you the number of times I have gone to do a lesson and had to make copies last minute. It really slows down your productivity for the day! This has really been the most successful planning method for us. Will it always be; probably not. After all the only thing you can depend on to stay the same is change. Will it be best for you; I can't say, but if you are a planner who loves having everything laid out I would give it a try, even if it seems intimidating. Start Early - If planning a year seems intimidating in June, imagine how it will look at the beginning of August. Evaluate Last Year - Did your curriculum work? Were their seasons that you didn't accomplish as much due to special events, extracurricular activities, or burn out (on your part or the kids). Evaluate the Upcoming Year - Are their special events you need to plan around? Vacations? Babies? Moving? Don't Fill Your Days - If you fill every second of every day, not only will your kids be less than enthused, you will not get it all done. Be Forgiving - Don't beat yourself up if last year didn't go the way you wanted. 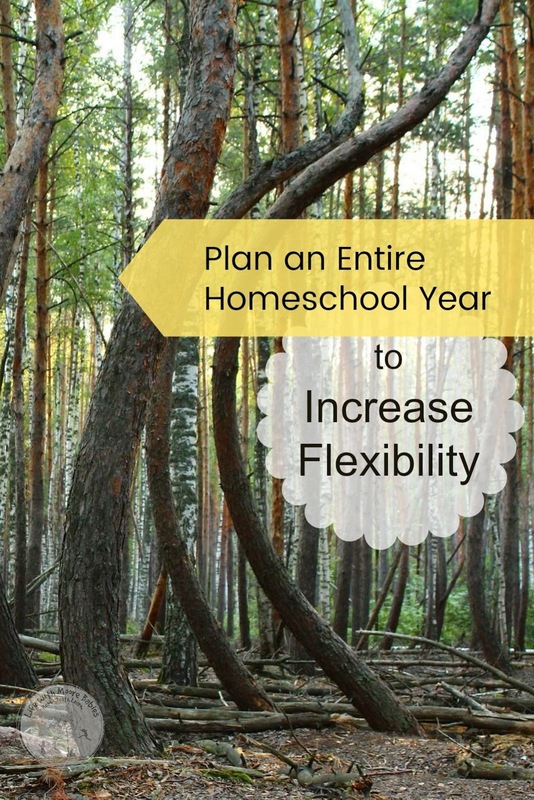 Remember your homeschool will always be changing! Be Flexible - More than anything else you have to be flexible. Be willing to let go a day when you need it. Hopefully you planned some extra days in where you could make up unplanned vacation days or sick days. Now for the biggest secret that isn't really a secret, write everything in pencil! You never know when something might change.